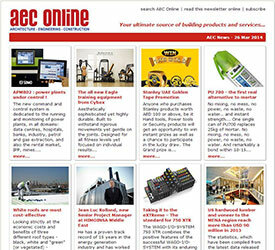 Subscribe free of charge to e-Newsletters from AEC Online. Stay updated on the latest real estate and building industry news, and get information about new and improved products and building materials on the market. You'll also find an 'unsubscribe' link in every issue of AECnews. To see current issue, click here! To see all issues, click here!